We Brits are rarely happy when it comes to the weather. Too hot, too cold, too wet, not enough rain, no snow, too much snow… But with the current heat wave we need to be aware of the effects on our health and not just the weather. Who doesn't love an ice cream or ice lolly on a hot day?! Has to be done right? It's like a tradition really. Well….not to be a killjoy or anything, but have you ever thought about the effect its has on our teeth? Dairy products, like ice cream, can be a good source of calcium. 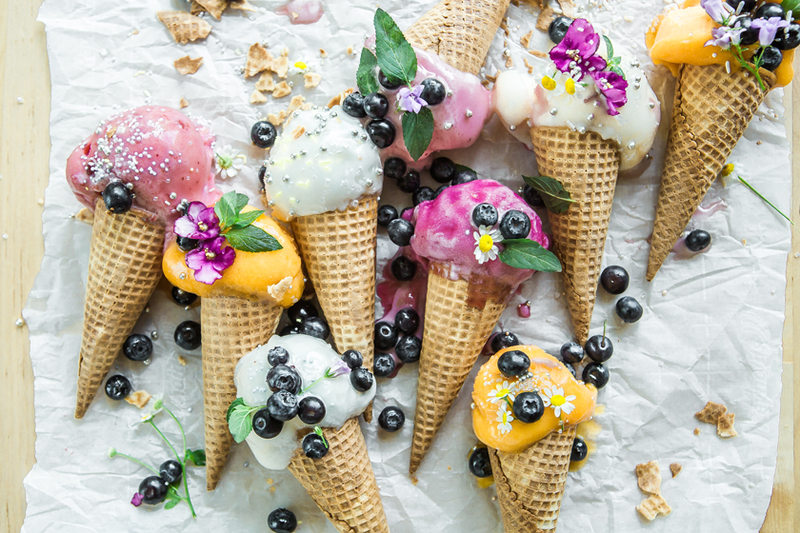 Unfortunately, most ice creams are made with a lot of sugar, one of the leading causes of tooth decay. When buying ice cream, we suggest buying sugar-free or low-sugar ice cream. However, if your child wants the ice cream full of sugar, there are a few ways to minimize the impact the sugar has on teeth. Brush teeth after eating ice cream or rinse with water or mouthwash. This will help get some of the sticky sugars off the enamel. Avoid ice creams with extras like caramel or good old monkeys blood. We say this because we care!